We have a standard pulpit in our auditorium/sanctuary at our church. There is an unspoken understanding that when I speak, I speak from behind the pulpit. That is where I belong. That’s my place. If I began preaching, say, in the organ pit or from the last row in the choir, it may get people’s attention—and the reason is that I’m not where I should be. In a sense, everything is right when we are where God wants us. Only here is true peace and contentment. God has bestowed a calling on every single Christian in this room. When men and women come to Christ, he bestows them with what are called spiritual gifts, differing gifts given by God for each person to exercise and execute. He also sends them out as ones who will make a visible difference for His Kingdom in the world. We have two examples here: one of John the Baptist, and the other of Jesus. Jesus is the Lamb of God who takes away the sins of the world. In other words, Jesus came for the express purpose of being offered as a sacrifice for the sins of those who would believe. To put it more starkly, Jesus was born in order to die. Most other leaders of movements don’t begin with the express intention of dying, but if they are martyred for the cause, then so be it. Jesus knew he would die—God ordained His death in order that those who would believe would be rescued from that. He knew His place! Christ knew His place! The apostle John as we will see knew his place. One of the secondary questions we must ask if, “Do we know our place?” But of primary importance is this: do we see the richness of Jesus as the Lamb of God who takes away the sins of the world? The apostle John leaves the introduction of this book to introduce to us … John the Baptist. But we will see that the Baptizer gives us an example in that, regardless of how influential our lives are, they must be influential in the sense that they point to Christ. No matter how much they wanted to attribute to John, he would have none of it. His life pointed to Christ. The Baptizer knew his role, he knew his calling, and was more than content to remain in that calling. Because the One to whom he pointed had a calling—to take away the sins of the world! 1. Trust the testimony of godly men who prepare the way for Christ (John 1:19-28). In John 1:19-23, we see how the apostle John gives us a brief description of a rather eccentric prophet that turned up along the Jordan River by the name of John the Baptist—or John the Baptizer. But this is not all we see about this man! By the apostle bringing him up at this juncture shows that he is a significant figure that means a great deal to all of us. The Baptizer first arrived on the scene in Luke 1 when the angel Gabriel arrived to bring the good news that Zechariah and Elizabeth were to have a child. Whereas this would be wonderful news for any couple, it was miraculous news for this couple. Zechariah, who served as a priest in the Temple in Jerusalem, and Elizabeth were old—beyond natural childbearing years. Plus, Elizabeth was “barren”—she had not been able to have children! 13 But the angel said to him, “Do not be afraid, Zechariah, for your prayer has been heard, and your wife Elizabeth will bear you a son, and you shall call his name John. 14 And you will have joy and gladness, and many will rejoice at his birth, 15 for he will be great before the Lord. And he must not drink wine or strong drink, and he will be filled with the Holy Spirit, even from his mother’s womb. 16 And he will turn many of the children of Israel to the Lord their God, 17 and he will go before him in the spirit and power of Elijah, to turn the hearts of the fathers to the children, and the disobedient to the wisdom of the just, to make ready for the Lord a people prepared (Luke 1:13-17). We know that an angel came to announce the birth of Christ—but we must also recognize that an angel came to announce the birth of one who would come before him—John the Baptist. · Took a Nazirite vow like Samson (see Numbers 6), vowing to take no food nor dirnk, but would only be filled with the Holy Spirit, set apart even in his mother’s womb like Jeremiah. · He will be like Elijah, as prophecied in Malachi 4:5-6, who would come before the awesome day of the Lord. Little did they realize that this awesome day of the Lord would be Christ coming as a baby to Bethlehem. 15 “The Lord your God will raise up for you a prophet like me from among you, from your brothers—it is to him you shall listen— 16 just as you desired of the Lord your God at Horeb on the day of the assembly, when you said, ‘Let me not hear again the voice of the Lord my God or see this great fire any more, lest I die.’ 17 And the Lord said to me, ‘They are right in what they have spoken. 18 I will raise up for them a prophet like you from among their brothers. And I will put my words in his mouth, and he shall speak to them all that I command him (Deuteronomy 18:15-18). Why bring this up? There is something to be said for anticipation and expectation! When children are in school, they can endure knowing the weekend is coming or, on a grander scale, when summer or Christmas break is coming! When those who are in the armed forces are serving, they endure because they know what they are doing matters, and that they can expect a respite in the form of a three-day pass or a furlough. The people of Israel were tired of Roman rule in the Holy Land. They were ready for the promises of a coming King to come to pass. This anticipation was reaching a fever pitch. So the questions feed this: are you the Rescuer who was to come? No? How about Elijah? Moses? Who!?!? John speaks this: “I am the voice of the one crying out in the wilderness, ‘Make straight the way of the Lord,’ as the prophet Isaiah said.” So John wasn’t just some preacher going out on his own to preach. He was “the Voice.” Isaiah prophecied about this 700 years prior. The lesson? God had not forgotten about His plan nor His people. When God makes a promise, he doesn’t go back on it. So now that John described this, they now ask him, “Why are you baptizing?” In other words, by what authority are you baptizing, since you aren’t on our list!? John was performing a cleansing rite—something that greatly offended the Israelite leaders who felt they were cleansed enough. Why did it offend them? Because this type of baptism was usually made to those who were Gentiles converting to Judaism. But John was calling the Jews. He was basically telling them that the Messiah was coming—and you need to be cleansed! But he made it clear—I’m only baptizing with water. It’s merely an outward cleansing, but one coming after him will surpass him in worthiness and power. But look at how he describes his rank in relation to Jesus: “I baptize with water, but among you stands one you do no know, even he who comes after me, the strap of whose sandal I am not worthy to untie” (John 1:26-27). It was commonplace for rabbis to have disciples who not only sat at the feet of their teacher, but also in a sense because their servant. We see this with interns working for their boss at a company: they fetch their lunch, pick up their drycleaning, and do all sorts of menial tasks as part of their training. But the difference between a disciple and a slave is this: a disciple never came near the sandals or shoes of the teachers. This was beneath them. But a slave’s job was this very thing. What was John saying? I’m not worthy to even be a common slave! So, in the process of us getting to know John, we get to know Christ! John the Baptist was great, but he was lower than a slave compared to Christ. 2. Turn to the One who takes away sin (John 1:29-34). 29 The next day he saw Jesus coming toward him, and said, “Behold, the Lamb of God, who takes away the sin of the world! 30 This is he of whom I said, ‘After me comes a man who ranks before me, because he was before me.’ 31 I myself did not know him, but for this purpose I came baptizing with water, that he might be revealed to Israel.” 32 And John bore witness: “I saw the Spirit descend from heaven like a dove, and it remained on him. 33 I myself did not know him, but he who sent me to baptize with water said to me, ‘He on whom you see the Spirit descend and remain, this is he who baptizes with the Holy Spirit.’ 34 And I have seen and have borne witness that this is the Son of God. Behold! That is a word that we do not use much in our day! But it’s a word intending to get our attention! 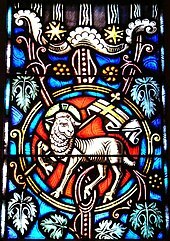 The Lamb of God. Those of you who listen to Christian music on the radio may remember a song that starts out very simply. Alleluia, alleluia, for the Lord God Almighty reigns. Holy, holy, are you Lord God Almighty? Worthy is the Lamb, worthy is the Lamb. Holy! But this was no new term. In Genesis 22, Abraham had finally received the promise of a son, Isaac. Abraham was 99 when Isaac was born, and as a son of his old age, this young man was beloved! God then approaches Abraham: “Take your son, your only son Isaac, whom you love, and go to the land of Moriah, and offer him there as a burnt offering on one of the mountains of which I shall tell you” (Genesis 22:2). And the Word says, “So Abraham rose early….” He wasted no time in obedience to God. He takes Isaac, lays him on the altar, ties him down, takes fire in one hand, the knife in the other and was ready to drive that knife through! God stops him, and over in the thickets, a ram was caught in the thicket by his horns. Abraham said on the way up the mountain that God would provide a Lamb—and he did as a substitute for Isaac. This Lamb would come and die—this Lamb of God who is Jesus Christ—would come and die as a substitute. But for whom? It goes on, “… Who takes away the sins of the world.” This does not mean that everyone will be saved with or without faith. This is called universalism. And we do know that from other portions in Scripture that not everyone goes to heaven. We saw two Wednesdays ago from Psalm 1 that there is a righteous way and a wicked way. In the Sermon on the Mount, Jesus says there is a wide way that many go into to their destruction, and a narrow way that few go into that lead to life. Here, it says that he died for the whole world—meaning, he death wasn’t only brought to one group of people (the Jews), but for every group of people. Again, in Revelation 5, they sing that the Lamb rescued a people “from every tribe, tongue, people, and nation.” Again, see the context. The Pharisees sent people to John asking John, “Why are you baptizing Jews? We are children of Abraham. We are clean!” John basically says, “Not only are you unclean, the Lamb of God has come to call a people to Himself not simply of the Jews—but of every nations under heaven!” Remember, we are children of God, “born not of blood, nor of the will of the flesh nor of the will of man, but of God” (John 1:13). No one is born a Christian! No one is born righteous! No one is born exempt from the atoning work of Christ! John even mentions that this one coming, the Christ, ranks before me “because he was before me.” Wait a minute! Didn’t Luke 1 say that John was born six months before Jesus came into the world? Yes, that is correct! But Christ was before Him “in the beginning.” This drove the spiritual leaders of Israel crazy. When Jesus told them later that “Before Abraham was, I AM” (John 8:58), when Abraham lived 2100 years before him, and Jesus was only in his mid 30’s, it’s because Christ was not merely human and did not begin when he was born in that stable in Bethlehem! He is eternal God and entered into the world as a human (Philippians 2:5-6). 25 I will sprinkle clean water on you, and you shall be clean from all your uncleannesses, and from all your idols I will cleanse you. 26 And I will give you a new heart, and a new spirit I will put within you. And I will remove the heart of stone from your flesh and give you a heart of flesh. What is a heart of stone? A stone doesn’t feel anything. It is insensitive to any feeling. When we say that someone is hardhearted, what do we mean but that they have no feeling. There is a callousness and an insensitivity. But flesh is different. My kiddos and I have enjoyed of late throwing some baseball around the yard. Daniel is especially fond of throwing baseball. Everytime we have some time, he begs us to go outside, he grabs his glove and my glove and a ball and tells me, “Dad, are you ready?” And we throw for a long time! But we have some bushes in our hard that line up against the fence. To get out of the sun, Daniel stands and catches a ball by one set of bushes, and I stand across the yard by the other. Every so often, a ball gets away and rolls under those bushes. No matter how careful we are in retrieving that ball, one of us comes out of those bushes with some scratches. Our response to the scratching of our flesh is, “Ouch!” It hurts! That’s the sensitivity of our flesh. But we are sensitive with a heart of flesh to the Spirit. In other words, when we receive Christ, there is a change of the highest order. We no longer are insensitive to the things of God, but now we are ultra-sensitive. Every so often, we come across someone who says they are a Christian, but they are still insensitive to sin and, thus, insensitive to Christ. Even though Paul says in Romans 6 that we are no longer slaves to sin, but slaves to righteousness. When we come to Christ, there is a change. We go from living for self to living for Christ. Do you yearn to be with Jesus? Do you thirst after God? Do you have a growing concern for the spiritual and physical needs of others? Do you delight in His church? Are the spiritual disciplines more important to you? Do you grieve over sin? Are you a quick forgiver? Do you yearn for heaven? Do these questions shed light on our spiritual walk? Is there one? Has the Lamb of God taken away our sin and cleansed us and baptized us by His Spirit? If not, as Christ draws you, I pray He would give you the strength to respond. Come to Christ! My apologies for the introduction being clipped. But this song meant so much to me when I came back to the faith in college in the early 1990’s. May this prepare us for the sermon at ARBC on Sunday. In my inbox, I received two articles that I highly recommend—one for the pastor and another for the Christian layperson. As someone who had to make some physical and dietary adjustments. Looking back, the weight I gained (I went into college 135 and graduated seminary eight years later with my music degree at 165, then six years later with my MDiv at 206) was a combination of burning the midnight oil in studies, gallons of soft drinks (especially Mountain Dew and Vault), and making little time for consistent exercise. Now, 135 was too bony for me, but 206 numbered me among other Southern Baptist pastors who are struggling with being overweight. Tim Spivey contributes an article to ChurchLeaders.com on 5 Physical Ways to Prepare for Sundays. When I began preaching, I dramatically underestimated its physical dimension. All of my energy went into the preparation of the soul and the sermon through study and prayer. It’s hard to fault this, at one level. However, my ignoring of the physical part of my being left me feeling irritable, tired, and useless to my family for the rest of Sundays. On Mondays, I felt as though I had been up all night–I was tired, my throat was hoarse, and I was grumpy. I also began to realize that ignoring my physical being made me a poorer preacher. I had less energy, less mental clarity, and though I’m a major extrovert–less desire to be around people. Why? I was just tired. Some experts have put the physical toll of preaching a 30-minute sermon at an 8-hour workday (physical labor). Think about that–all of that work jammed into 30 minutes. For those who preach multiple services, the toll can be enormous. I have friends that take weekly shots of vitamins, experience chronic pain from depleted adrenaline, and a host of other physical problems because of the toll preaching takes on them. Most of them are among the most disciplined people I know–which is why they are seeking ways to solve this unsustainable pace. Nevertheless, preaching just takes a lot of energy. He is correct. Preaching takes more energy out of me than a two-mile run, a session of P90X, or most other types of physical exercise. I, too, underestimated it. Later, I received in my inbox Kevin DeYoung’s blog post a quote from D.A. Carson from his book Scandalous. This was a follow-up from Thursday’s contribution Stop Your Cheatin’ Ways, talking about how your body will catch up on the rest you deprive it of. If you pull an all-nighter thinking you have extra hours burning the midnight oil, your body will find ways to get that rest in other hours later on. Doubt may be fostered by sleep deprivation. If you keep burning the candle at both ends, sooner or later you will indulge in more and more mean cynicism—and the line between cynicism and doubt is a very thin one. Of course, different individuals require different numbers of hours of sleep: moreover, some cope with a bit of tiredness better than others. Nevertheless, if you are among those who become nasty, cynical, or even full of doubt when you are missing your sleep, you are morally obligated to try to get the sleep you need. We are whole, complicated beings; our physical existence is tied to our spiritual well-being, to our mental outlook, to our relationships with others, including our relationship with God. Sometimes the godliest thing you can do in the universe is get a good night’s sleep—not pray all night, but sleep. I’m certainly not denying that there may be a place for praying all night; I’m merely insisting that in the normal course of things, spiritual discipline obligates you get the sleep your body need. As I look back on my Christian walk, the times when I struggled the most were times in school (college or seminary) and when I had small children that required me to stay up at odd hours of the night. In school, I really did think I was getting some extra hours by being the night owl. But when I would come home for a break, instead of sleeping 7-8 hours, I would sleep 10-12. My body was exhausted—and so was my spirit! There are plenty of websites to help you count calories, to learn how to exercise from all levels—but without good rest, you will counteract much of the good you have done to your body. Is Perry Noble Right? Should We Only Answer Questions Folks Are Asking? Perry Noble serves as the Pastor of NewSpring Church in Anderson, SC. They have six other churches under the NewSpring umbrella that have over 20,000 in attendance. I get Perry Noble’s blog posts in my e-mail because he gives some very practical advise for leaders in churches—and doesn’t skirt around very many issues. He gets right to the point! Too many people are so obsessed with their theological labels, I believe, so that they don’t actually have to do real ministry! I am not sure of Noble’s past experiences, but here I believe he makes the mistake of saying that we can only do one or the other. We can either lean entirely theological and doctrinal in our understandings, or we can lean entirely practical. Who is/are the one(s) who ultimately determine what questions should be answered? More to the point, just because people aren’t asking the questions, does this mean there are things they still shouldn’t know? Sure, humans start with themselves—but this show their fallenness! Our entire problem is that we start with self. Undoubtedly there is some common understanding between Paul and Titus on these matters that is a little difficult to probe. Paul is certainly not saying, for instance, that every question about the Law is a waste of time; he himself elsewhere discusses the subject. But controversies calculated to divide Christians without producing any gospel strength or moral improvement are “unprofitable and useless.” One begins to suspect that those who are stirring up such strife have invested so much of their own egos in their eccentric positions that they can neither be corrected nor back down. In this sense, Noble is right. If we are more concerned about our theological labels than we are about our ministry in Christ, then yes. But if he is saying we should only answer the questions people are asking, then it’s our job to direct them to the questions they should be asking—about the character of God, the condition of their soul, etc. It is then we can come along with the theological meeting the practical for a well-rounded gospel-centered atmosphere. In this line, I would recommend Mark Driscoll’s Death by Love: Letters from the Cross. In this book, Driscoll discloses some very disturbing and dicey issues from men and women in his church, then plugs in a sturdy and solid answer with a good theological framework. 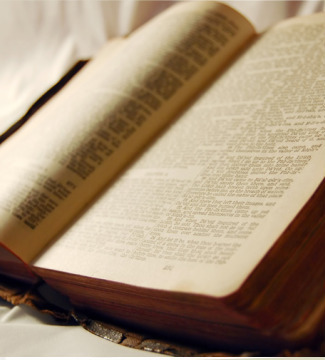 What we think and know about what the Scriptures teach about God (theology) fuels our practice. I know that I am simply a Baptist pastor of a church of about 225-250 people, whereas Noble’s churches number in the tens of thousands. But I don’t believe that someone is simply correct based on numbers, but on how they line up with Scripture. What say you? Is Noble right and I’m off-base, or do you have issues with Noble’s assertion? “There must be a holy fear mixed with the Christian’s joy. This is a sacred compound, yielding a sweet smell, and we must see to it that we burn no other upon the altar. Fear, without joy, is torment; and joy, without holy fear, would be presumption. Mark the solemn argument for reconciliation and obedience. It is an awful thing to perish in the midst of sin, in the very way of rebellion; and yet how easily could his wrath destroy us suddenly. It needs not that his anger should be heated seven times hotter; is the fuel kindle but a little, and we are consumed. O sinner! Take heed the terrors of the Lord; for “’our God is a consuming fire.’” (Charles Spurgeon, The Treasury of David). Stewardship as Worship: The Privilege of Life in the Local Church by Nate Palmer (Cruciform Press, 2012). This helpful e-book from Cruciform Press provides an excellent outlining of the proper reasons for service in the church—not so God will love you more the more active you are, but as an outward display of the inward worship and adoration we have for Christ. A short-ish book that’s a good read. Preach: Where Theology Meets Practice by Mark Dever and Greg Gilbert (Crossway, 2012). If you wanted the privilege of sitting down with two terrific expositors of the Word, and see what steps they take in preparing, delivering, and evaluating their sermons—you will find great value in this book. The Joy of Calvinism: Knowing God’s Personal, Unconditional, Irresistible, Unbreakable Love by Greg Forster (Crossway, 2012). I saw Joe Thorn’s recommendation of this book and found it compelling. Books against Calvinism usually build strawmen only to argue against that caricature they have set up. Those books that are pro-Calvinist are very formulaic, rigid, and … joyless. I enjoyed reading this book and found it helpful for those trying to better understand these brothers and sisters in Christ. Ten Questions to Diagnose Your Spiritual Health by Don Whitney (NavPress, 2001). Though written in 2001, this book provides some excellent probing questions regarding our spiritual walk. I highly recommend any of Whitney’s works, but this is a great place to start and ideal for a small group discipling. Reaching People Under 40 While Keeping people Under 60: Being a Church for All Generations by Edward H. Hammond (Chalice Press, 2007). A neat book about building bridges between the generations in our local churches. A bit light on doctrinal distinctives, but it succeeds in getting the juices of our church leaders flowing in this bridge-building process. On Sunday nights, we are going through the book of Ecclesiastes, branding the series as, "How Do You Measure Success?" He sets the table by expressing the vanity or meaninglessness of everything under the sun: work, pleasure, wisdom–we will all soon die and be forgotten, so what’s the use? This is the thrust of chapters 1-2. The perspective is that of "under the sun"–the earthly perspective. Chapter 3 begins with a new perspective, that of "under heaven." This is the vantage point of a sovereign God who has all things under control. Nothing is flying under His radar. The cycles that life brings (3:1-8) shows the beauty that God is ordering all things rightly (3:9-15). Yet, Qoholeth still struggles. He sees injustice and oppression by the powerful (3:16-4-4), but he knows that God will judge the righteous and the wicked (3:17). First, we see the necessity of thinking through the process of connecting biblical truths with the reality of everyday life. We know from Scripture God’s vantage point and God’s control. This is clear—and this needs to inform that which is not clear, such as why certain things happen “under the sun.” Scripture needs to inform our experiences and perceptions, not the other way around. Secondly, we see why it is critical to have a clear and precise on who God is. We have to have a great understanding of what the Scriptures say about his character: his holiness, his love, his justice, his eternality, and mercy. In order to be seeker sensitive, churches have started gearing their preaching and teaching and ministries around the needs of men. Yet, Scripture says that “none seek after God” in their fallen nature (Romans 3:10). The only true Seeker we have in Christ. Christ seeks after us before we come to Him (Luke 15:1-10), and we must seek after Him (Hebrews 12:14). Thirdly, don’t simply see the necessity of the process, embrace this process. If Christ has truly gripped you with His gospel, this process will be a precious time for you to seek after Him and His Word even more. You will find yourself praying more, reading more, talking more—all to understand the Christian walk from mature Christian individuals. Christ will sharpen you in such a way that you will be razor sharp on the other side of this valley. 1. He is the God of all creation. In the beginning was the Word, and the Word was with God, and the Word was God. 2 He was in the beginning with God. 3 All things were made through him, and without him was not any thing made that was made. 4 In him was life,[a] and the life was the light of men. 5 The light shines in the darkness, and the darkness has not overcome it. If you have read through the Gospels (that is, the first four books of the NT) that outline the ministry of our Lord Jesus start in differing places. If you read Matthew starts with Mary and Joseph, with Joseph’s dilemma of how his virgin wife could be with child—that child being the Lord Jesus Christ himself—God with us! In Mark, the “beginning” was the start of his earthly ministry. In Luke, he starts with the coming of John the Baptist who (as you will see in John 1:6-8) is the one who came to pave the way as the witness of the Messiah to come. Yet John starts further back—before Jesus’ ministry, before Jesus’ birth, before David, before Abraham, and even before Adam and Eve. “In the beginning”—meaning for our ears to understand before time began from all eternity—the same as it is in Genesis 1:1. At the same point when God created everything before time began, we see that “in the beginning [too] was the Word.” What are we to glean from here? The word ‘word’ is translated from the Greek ‘logos.’ John understood that two different audiences would be reading this: the Greeks, and the Jews. The Greeks, especially the uber-rational Stoics, believed that this ‘logos’ was the principal showing the foundation of all rational thought. For the Jews, it was the sum total of all of God’s revelation (“His Word”). So the apostle John intentionally communicated that this to both groups! He is, as the apostle Paul noted, “the treasure of all wisdom and knowledge” (Col. 2:3). He was with God, meaning he has a distinct personality that was intimate in fellowship with the Father. He is also God in that he possesses the same substance. Then John goes on! Verse 3: “All things were made through him, and without him was not anything made that was made.” So Christ is the agent of all creation! We have all been in classes where we have struggled. But there is a time (hopefully) that when you have struggled, you persevere until (and what’s the expression we use) “the light comes on.” There is a comprehension to the subject and a mastery that helps you overcome the obstacles impeding the progress! Here, when we say that the darkness has not “overcome” it—it has not mastered it. As in physical properties, so it is in spiritual properties, the light will never master the darkness. Ever. 2. He is the true light of the new creation (John 1:6-13). 9 The true light, which gives light to everyone, was coming into the world. 10 He was in the world, and the world was made through him, yet the world did not know him. 11 He came to his own,[a] and his own people[b] did not receive him. 12 But to all who did receive him, who believed in his name, he gave the right to become children of God, 13 who were born, not of blood nor of the will of the flesh nor of the will of man, but of God. Here, John begins to show us what the true light is—it’s of a spiritual realm, but more than this. All through the OT, when the Shekinah glory of the Lord would arrive, it would be in light, in splendor, in majesty, and in awe. This true light (Christ) came into the world. Remember, this is the world that He made. But the world did not know him. There are those who do receive him! There are those who believed in his name, trusting in his character, and His work! And God bestowed the right to become children of God. We receive him, but we see how this ultimately happens. We become children of God because we were born only of God. Think about when you were born! Do you remember the day? Well, no, you don’t. Hopefully you remember your birthday at this point, but we do not remember when we were born. The fact is, most of us don’t remember anything before our 2nd birthday—with rare exceptions. The fact is, we had no say when we were conceived, and we had no say when we were to come into the world! John 3 says that we must be born not just once, but be born again. We are not saved by our family or heritage. We cannot manufacture the Spirit’s work like so many evangelist charlatan’s out there who try to use certain words or emotions to elicit a response. 3. He is the true temple of His people (John 1:14-18). 14 And the Word became flesh and dwelt among us, and we have seen his glory, glory as of the only Son from the Father, full of grace and truth. 15 ( John bore witness about him, and cried out, “This was he of whom I said, ‘He who comes after me ranks before me, because he was before me.’”) 16 For from his fullness we have all received, grace upon grace. [a] 17 For the law was given through Moses; grace and truth came through Jesus Christ. 18 No one has ever seen God; the only God,[b] who is at the Father’s side,[c] he has made him known. In the Old Testament, God gave His people His name, but He would not dwell among them. Moses and Joshua would go outside of the camp into the Tent of Meeting to meet with and commune with God. So when this Word, this True Light, would become flesh and dwell among us? And we would see his glory? We must not lose the thrust of this passage! The Tabernacle in the wilderness and the Temple in the Promised Land were the centerpiece of the community of Israel, the people of God. The Temple was the place where God and man met and communed. So when the apostle John writes that the “Word became flesh and dwelt among us,” this is a ‘tabernacling’ term. The Tabernacle and the Temple pointed to the ultimate centerpiece of God’s people, the ultimate place where God and men could commune and dwell together: Jesus Christ. Jesus told the woman at the well in John 4 that there would come a time when they would not worship in Jerusalem or anywhere else (even their Mt. Gerazim), but they would worship in spirit and in truth (John 4:24). Christ would dwell with us and we would dwell with him (Revelation 21:1-4). We have even been termed a ‘temple of the Holy Spirit’ through the Spirit of God through Christ residing in us (1 Corinthians 6:19-20) taking us to the throne of God (Hebrews 4:14-16). Jesus even said that the Temple would be destroyed, but he would raise it again in three days. He is the Temple to which he refers. Not another building, but Himself! If we wish to see the glory of God, we will not need to be hid like Moses was in the cleft of the rock—we need to see Christ! Have We Forgotten the Christianity’s Primary Message? A friend of mine was interviewed by a reporter doing a story on the so-called “Christian Right.” This journalist interviewed 40 Christians involved in politics—those who are attempting to transform culture with a ballot box. At the end of the interview my friend asked, “Has anyone explained the gospel to you?” The reporter asked, “No, what is the gospel?” She had no idea that this was Christianity’s primary message. Have we forgotten that if there is any good news in America it will not come from Washington, but through the lips of God’s people? We cannot evangelize America unless every Christian begins to witness for Christ wherever God has planted him or her.